Florante de Leon, popularly known simply as Florante, is a Filipino singer-songwriter. 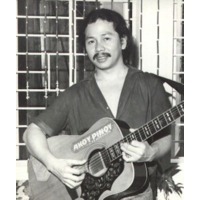 He was a pioneer and leading exponent of Pinoy folk rock during the DZRJ-AM radio boom in Manila during the 1970s. His more popular singles include the hit ballad, "Handog" (Offering) and other songs, such as "Ako'y Isang Pinoy" (I Am A Filipino), "Abakada" (A-B-C-D), "Digmaan" (War) and "Pinay" (Filipino Woman), which form part of the musical genre called Manila sound. He influenced other singer-songwriters that followed, particularly during the emergence of OPM; these artists include Joey Ayala, Freddie Aguilar and Heber Bartolome.